I bought a MacBook largely for the longevity, and while my laptop is still running five years later, the word running may be a bit of a stretch — walking or crawling would be a more accurate description. Torn between salvaging my current MacBook and replacing it entirely, I didn't want to spend any money on any clean-up software or the even pricier RAM and hard drive upgrades. That's when I started doing some digging on how to speed up a MacBook Pro — and got my computer running (almost) like new for free. 1. Clean up the desktop. Considering my tech experience, I'm embarrassed to even admit I was storing files on the desktop in the first place. Not only can recovering lost desktop files be difficult, but it actually takes the computer longer to access them. I gave my desktop a facelift by moving files directly to the hard drive, and replacing the ones I really needed easy access to with shortcuts, instead of the actual files. Time spent? Less than five minutes. 2. Clear unnecessary widgets in the dock. I had no idea that a cluttered dock could actually tax my computer's processor — but it is possible for too many widgets to slow your computer down. Control click on the icon, then go to options and uncheck the "Keep in Dock" option for any non-essentials. (You can still find them easily using the search bar at the top right). 3. Declutter the hard drive. As a writer and photographer, I fill up my hard drive quick. Your computer will perform best when the hard drive is only 85 percent full. I make a regular habit of archiving old images and files to an external hard drive every month or two. Click on the Apple Icon, then About This Mac and Storage to see if it's music, photos or videos taking up the most space, so you know where to start decluttering. You can also free up some space without an external hard drive by emptying the trash and deleting temporary files. Opening Activity Manager and clicking CPU to order everything by how much RAM it's taking up is eye opening. For me, Firefox was taking up a huge chunk, even with only a single tab open. I swapped Firefox out for Safari and I no longer have frequent freezes while browsing the web. The same applies to other applications (though for some programs, that may not be a free solution). So take a look at your Activity Manager and find what programs are really taxing your computer — you can look for alternatives or at the least avoid multitasking with those more intense applications open. Downloading the latest operating system is free as long as your MacBook isn't pre-2007 — and it made a big difference in terms of speed. Installing the new OS X (now we call it macOS) will take a little bit of time (and you should make sure to backup your files first), but with the updates now being free, there's really no reason not to. Always get the files and instructions directly from the official Apple website. The latest operating system offers a nice speed boost — but there's also a few fancy features that can slow your computer down even more. 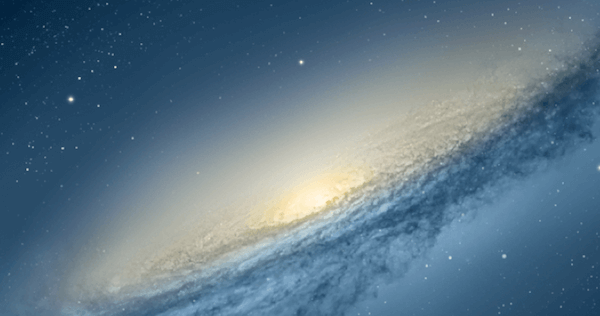 After you've updated, you may notice that minimizing and maximizing windows has a different animation effect — this and other factors that are largely just visual can affect performance, particularly on an older MacBook. 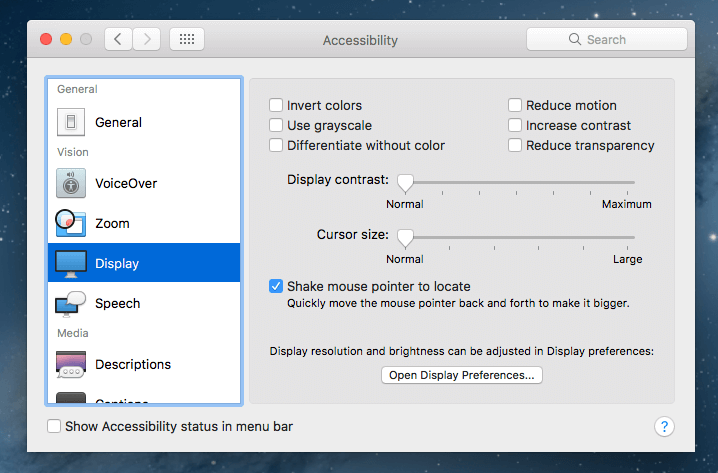 Open System Preferences (from the Apple menu) to disable the special effects for better performance. Look in Accessibility then under the Display tab to see in increased contrast is taxing your computer. Back to System Preferences, click Dock and select the "scale effect" instead of "genie effect". You can also uncheck "animate opening applications." I laughed when I read one article suggesting improving MacBook start-up speeds by never shutting the computer down at all. My MacBook is a lot like me — it gets cranky when it doesn't get any rest. Make a regular habit of shutting your MacBook down completely. While not starting up your computer at all will obviously improve startup times, you'll also have programs running in the background that you may have forgotten about, taking up extra RAM. If your MacBook is a slow starter, try turning off the startup applications by going into System Preferences > Users & Groups > Login Items and unchecking all the boxes. The MacBook Pro is a solid computer, but it's just as prone to slowing with age as other computers. While installing new RAM and an SSD hard drive will definitely give you a big speed boost, there are a few free, simple ways to eek a bit more speed out of your MacBook Pro.